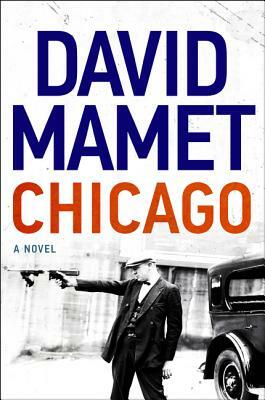 In Chicago, David Mamet has created a bracing, kaleidoscopic page-turner that roars through the Windy City’s underground on its way to a thunderclap of a conclusion. Here is not only his first novel in more than two decades, but the book he has been building to for his whole career. Mixing some of his most brilliant fictional creations with actual figures of the era, suffused with trademark "Mamet Speak," richness of voice, pace, and brio, and exploring—as no other writer can—questions of honor, deceit, revenge, and devotion, Chicago is that rarest of literary creations: a book that combines spectacular elegance of craft with a kinetic wallop as fierce as the February wind gusting off Lake Michigan. David Mamet first won recognition with his 1976 plays Sexual Perversity in Chicago and American Buffalo. In 1984, he won the Pulitzer Prize for Glengarry Glen Ross. Among his many other acclaimed and prize-winning plays are Speed the Plow, Oleanna, and The Old Neighborhood. His feature film debut as a writer-director was the classic House of Games; his other films as writer-director include Homicide, The Spanish Prisoner, State and Main, and Spartan. He has also won acclaim for numerous screenplays, including The Verdict, Wag the Dog, The Postman Always Rings Twice, The Untouchables, Hoffa, and The Edge. A Chicago native, he lives in Santa Monica, California. As if Cormac McCarthy had decamped from Southwest to Midwest…Chicago feels like one of the great American male novelists of the late 20th century — Updike, Mailer, Bellow, Roth—trying his hand at writing a genre novel. But unlike those novelists’ somewhat less sure-footed lunges…Mamet lands this with aplomb. “Acclaimed playwright (Glengarry Glen Ross) and screenwriter (The Untouchables) Mamet unpacks his literary arsenal in his first novel in two decades…. Mamet offers a master class on dialogue…. For readers of Elmore Leonard and Dennis Lehane.